MotoAmerica Superbike star Roger Hayden has announced he will retire at the end of the 2018 season. 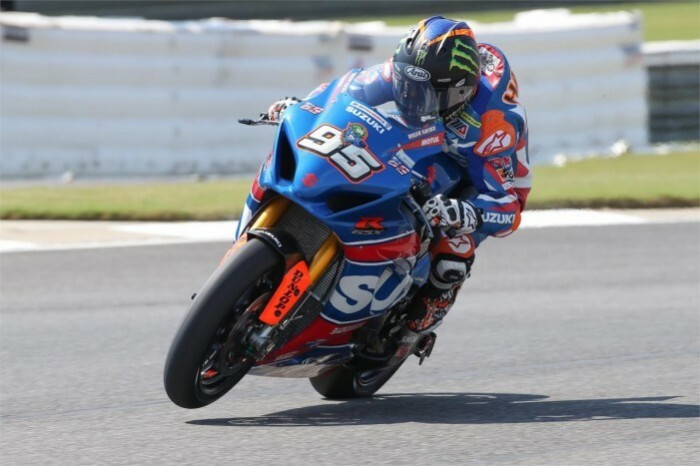 The Yoshimura Suzuki rider is the youngest of the three Hayden brothers and has been a leading contender in American Superbike racing for 20 years. “This is not something I’ve decided lightly. I’ve been thinking about this for a while. I’ve been going to races on the weekends since I was nine and I just thought it was the right time to move on to the next chapter in my life. I want to spend more time with my wife and maybe do some travelling and start a family at some point soon,” said Hayden. The massive success enjoyed by all three Haydens made them perhaps the best-known brother trio in the history of motorcycle racing. An entire generation of fans grew up watching and rooting for the Hayden brothers. Perhaps the highlight of their career as a racing family, was when Nicky, Tommy and Roger swept the podium at the 2002 Springfield TT AMA Grand National. It marked the first and only time in the long history the AMA Grand National Championship that brothers completed a podium sweep. In 2011, he returned to the Suzuki camp, racing Superbike for National Guard Jordan Suzuki. In 2012 he scored his first AMA Pro Superbike victory at Homestead-Miami Speedway with the Jordan squad and has been part of Yoshimura Suzuki since 2014. To date his career MotoAmerica/ AMA Superbike win total stands at seven. He is coming off his most successful season of MotoAmerica Superbike racing in a long and successful career. He was title contender much of the 2017 season. Along the way he stood on the rostrum 15 times in the 18-race series, scoring three victories. Hayden secured second in the championship, giving the new Suzuki GSX-R1000 a 1-2 result in the machine’s debut season. In addition, he earned seven Superpoles in 2017 - a season best in the championship.